Exploration well on the Partridge prospect. 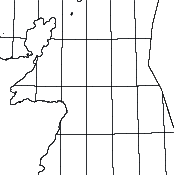 Lower Cretaceous (Scapa Sandstone) pinch-out trap against northern and western margins of Jura Basin with dip-closure to SE at approximately 6,400–6,900 ft. Class III AVO and elastic impendence anomalies at Scapa objective within closure consistent with high porosity, oil-bearing sands. Estimated P50 recoverable 119 mmbbl. Well, slightly deviated to NE, encountered very high quality reservoir in Scapa Formation, but with no hydrocarbons.